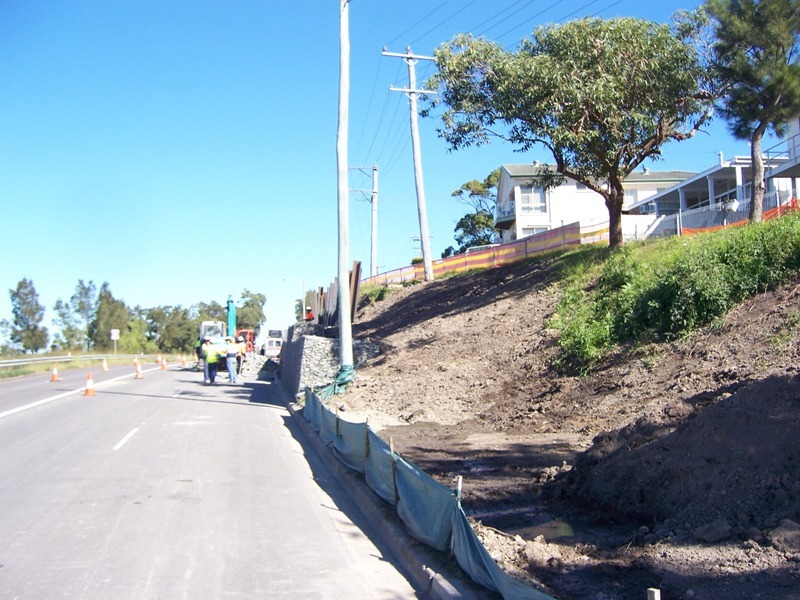 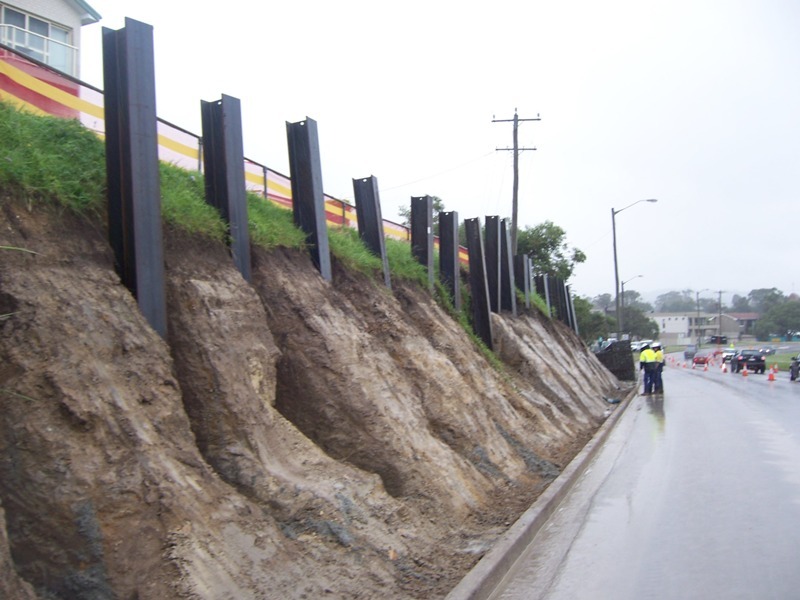 Scope of Works: A landslip occurred during a large storm event to a portion of the embankment above “The Esplanade” at Speers Point. 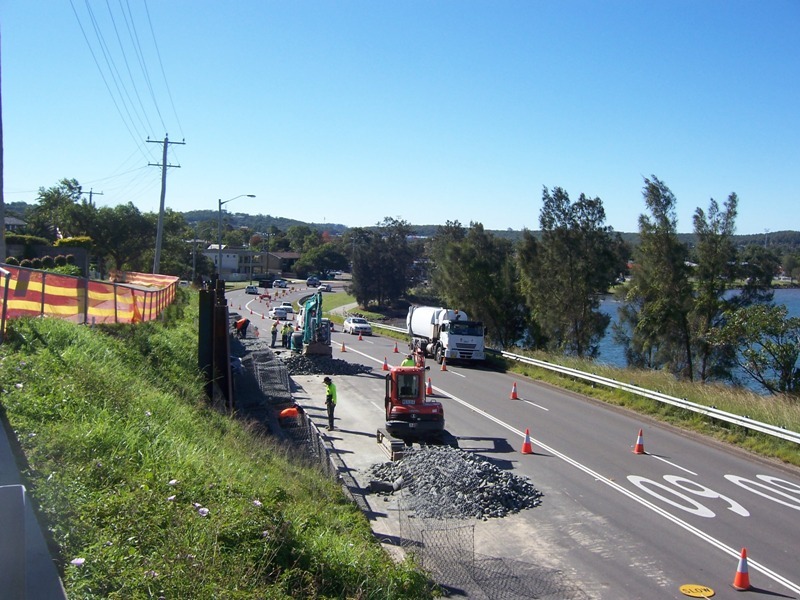 The Slip was temporarily shored by the RTA. 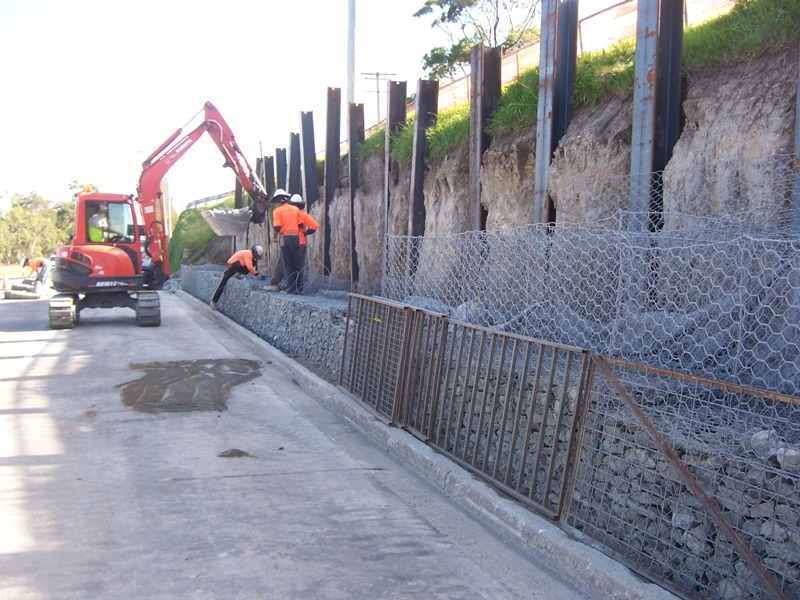 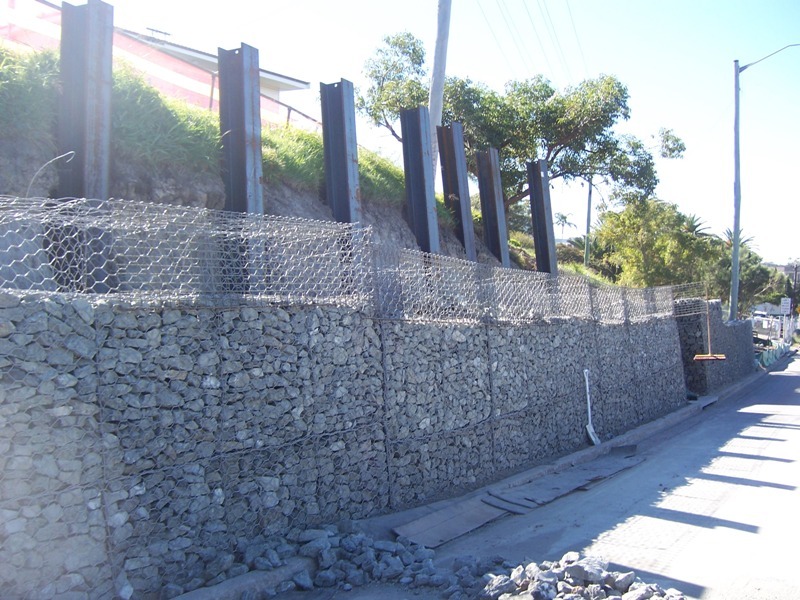 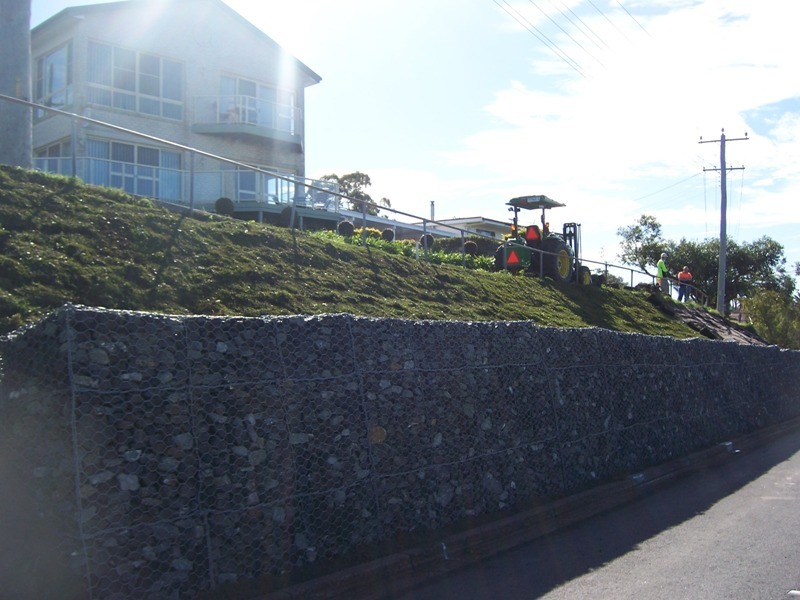 Geotechnical testing confirmed the potential for further slips in the area and as such the RTA acted by contracting Gleeson Civil to construct a long term fix, comprising a 2.5m high gabion retaining wall. 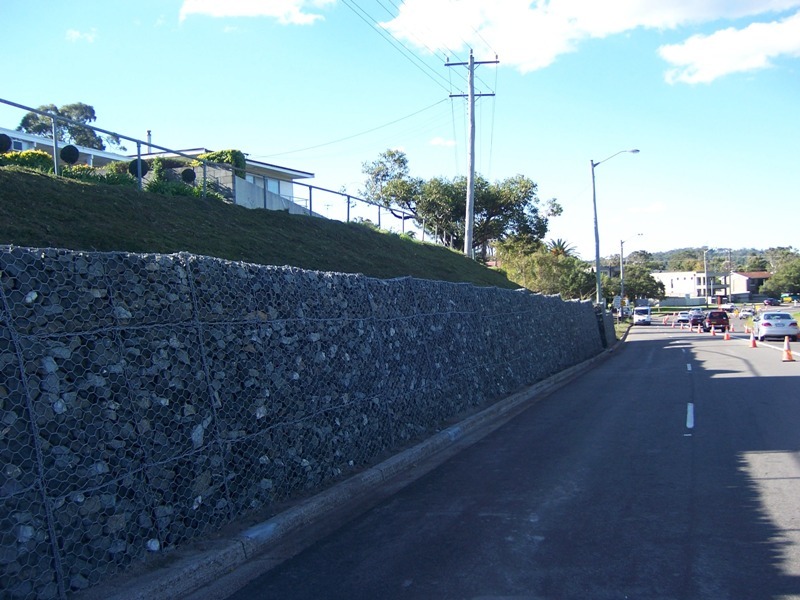 Project Value approximately $400k. 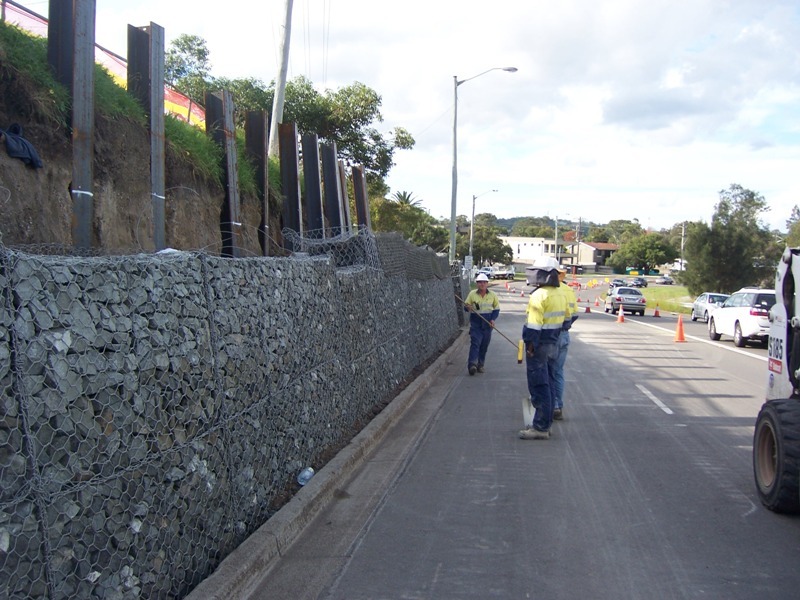 Highly restricted working hours due to the high traffic volumes on The Esplanade. 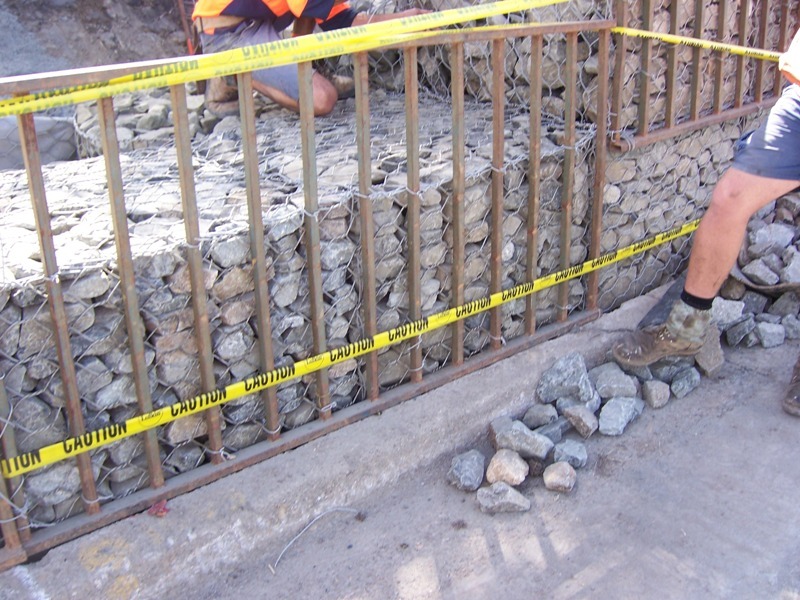 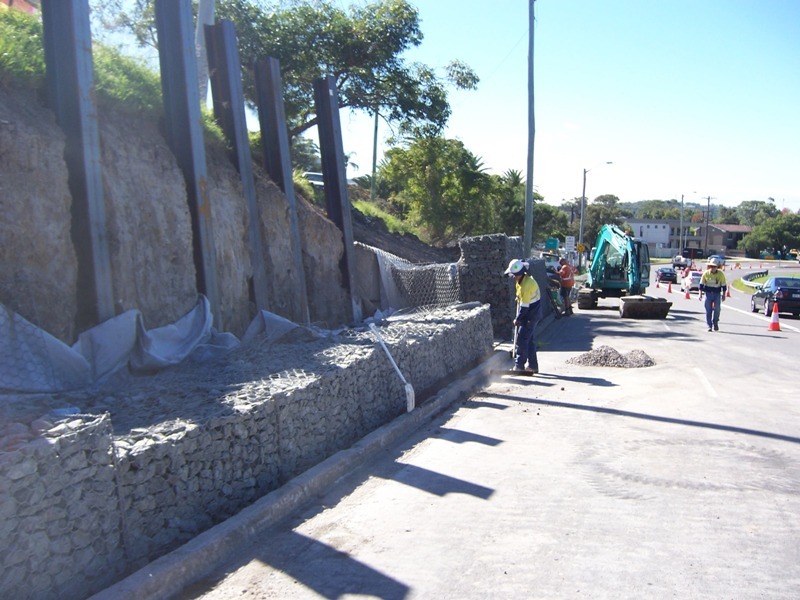 Construction of the Rock Gabions in a confined area due to close proximity to traffic. 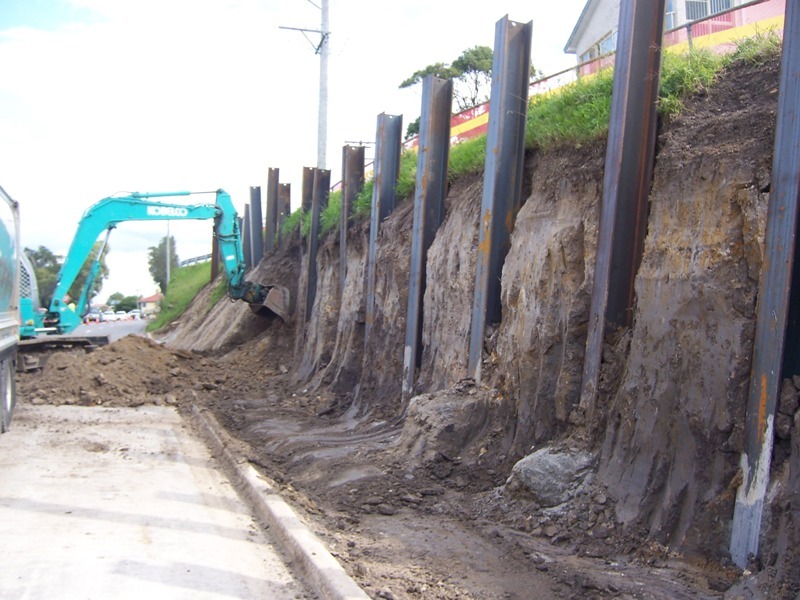 Retention of Existing Power poles within the bank during construction.